Here is a classic idea that never gets old, the rosary! Make sure that your rosary tattoo design looks delicate and somewhat realistic, otherwise, it could end up looking like a snake or a worm! Colorful art is always a good idea, especially when it is as whimsical and vibrant as this. 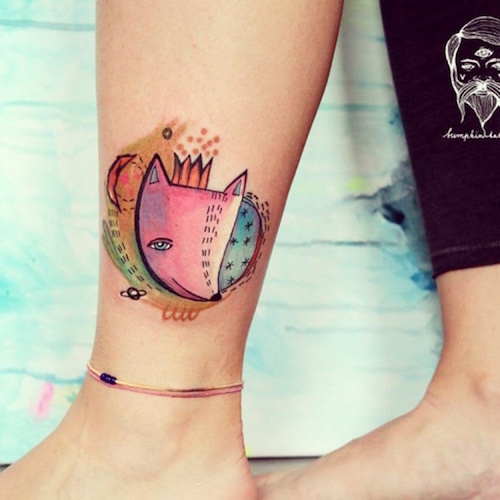 Be sure the art can be translated well to a small tattoo before committing. 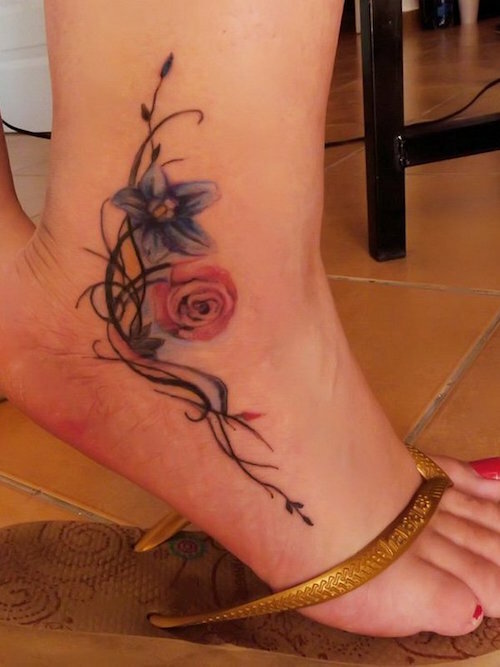 A knowledgeable tattoo artist should be able to tell you whether a piece of art is doable on the ankle or not. 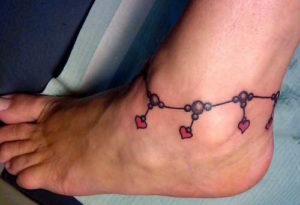 Here is a simple anklet design, which probably makes the most logical sense for the ankle, since the anklet is like a necklace or bracelet for this part of the body! Florals can be lovely on this part of the area if done well. 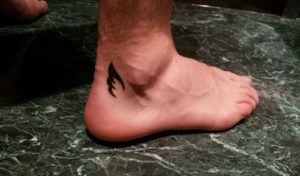 Here is a tiny but detailed sparrow on this lucky wearer’s ankle. 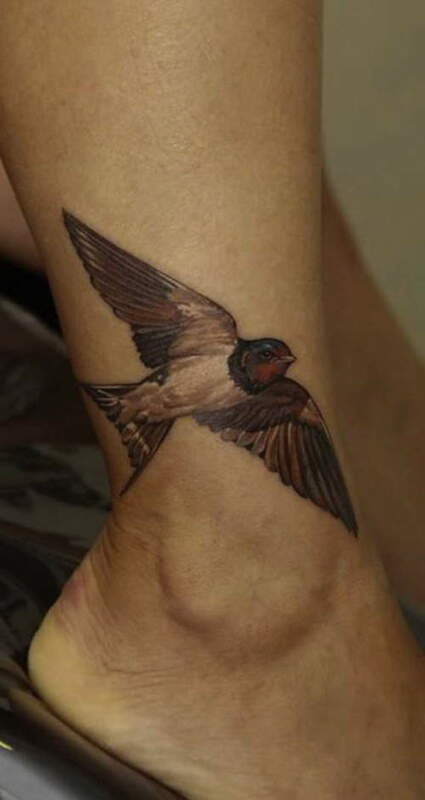 A more simple bird design would also work on the ankle. 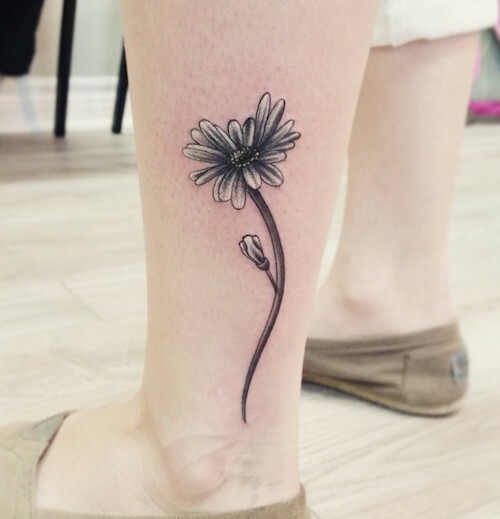 A black and gray daisy is quite lovely and bright on this tattoo lover’s ankle. A simple pink ribbon may be the perfect idea for the ankle. Here we see it just below the ankle. 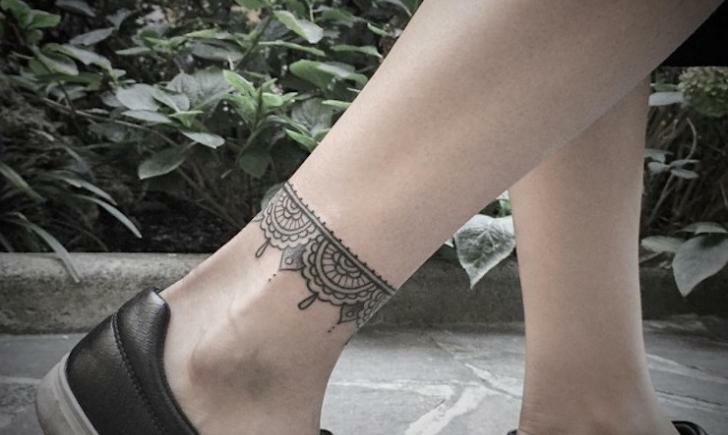 Looks like lace as an anklet on this tattoo wearer’s ankle! Absolutely gorgeous and simple! Very little shading. 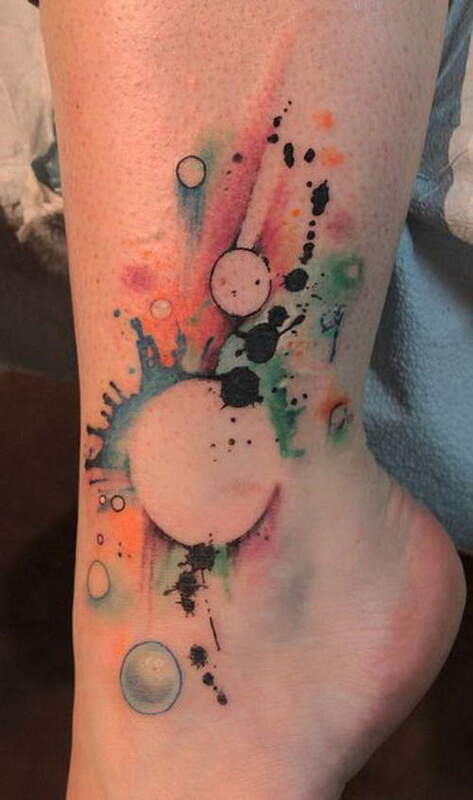 Paint splatters and bubbles are an interesting and unique idea for the ankle. There are many designs that would not work for this area, but this one does! Finally, we have a tiny set of wings for the ankle, echoing the Greek God Hermes. What a cool idea, especially if the wearer is a runner!